On today’s show, I discuss workbenches, butterfly keys, setting up a dado plane, chopping mortises square to the edge of the stock, and four common woodworking myths. 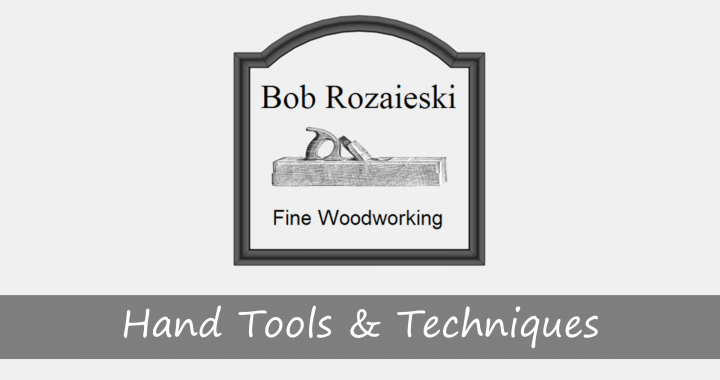 On today’s show, I discuss two-piece chip breakers, smoothing plane setup for controlling tearout, when to use haunched tenons, troubleshooting a smoothing plane, and scratch stocks. On today’s show, I discuss pins first dovetail layout, fishtail chisels, setting up a toothing plane, miter boxes, beginner projects, and lessons learned from revisiting old projects. On today’s show, I discuss planing the edges of thin stock, dado planes, replacing the blade and chipbreaker in a transitional plane, woods, glues and finishes for outdoor projects, and dealing with wood movement woes.